Information and a trailer have allegedly leaked for a new Power Rangers coming to Switch. Power Rangers: Battle For The Grid, developed by nWay, is supposedly coming to Nintendo’s platform in April. 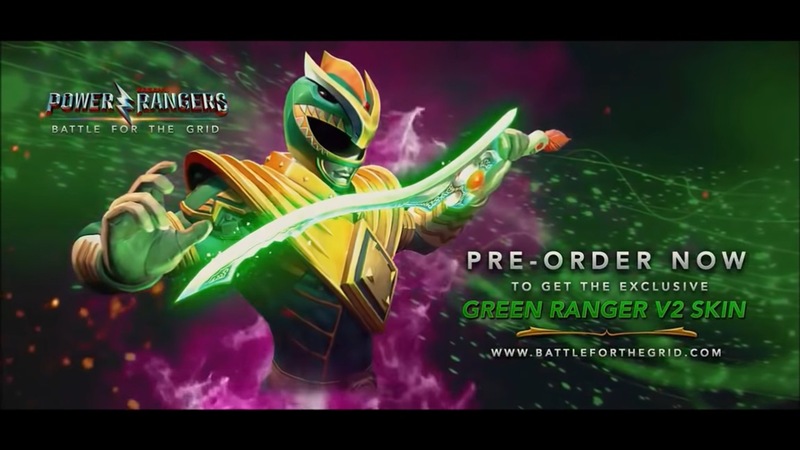 The game is now available for pre-order at www.battleforthegrid.com with those ordering prior to launch receiving an exclusive bonus of the Green Ranger V2 character skin and a digital art book. In addition, a special Digital Collector’s Edition will be available to pre-order for $39.99, which contains the full game download, Season One Pass (which will include three new characters, their Arcade story, and a new warrior skin), and exclusive Lord Drakkon V2 and Mighty Morphin Power Rangers Pink Ranger character skins. Assuming Power Rangers: Battle For The Grid is happening, an announcement should be made in the near future. We’ll let you know if we hear anything official.